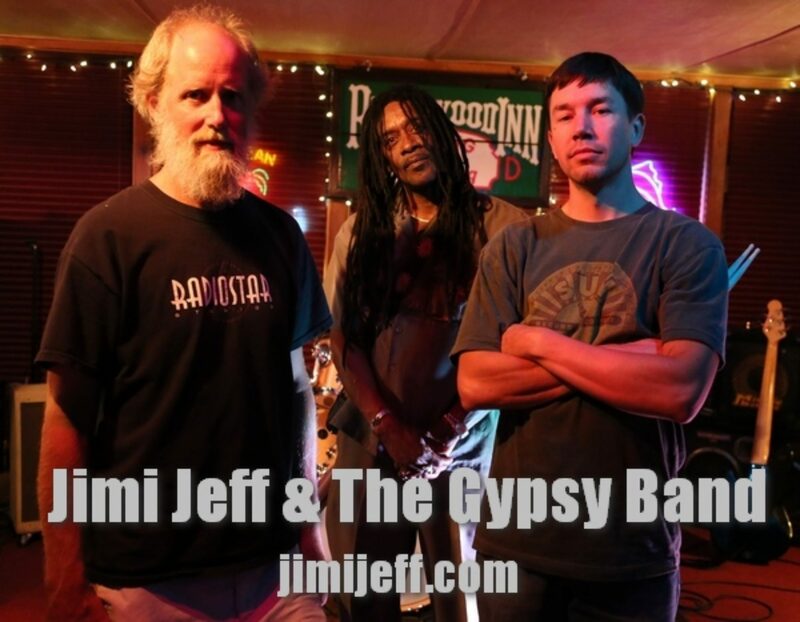 Jimi Jeff & The Gypsy Band will be performing at the Lucky Bear Casino Halloween Ball in Hoopa, California, Humboldt County, 0n Friday, October 28 from 10:00pm to 1:00am. 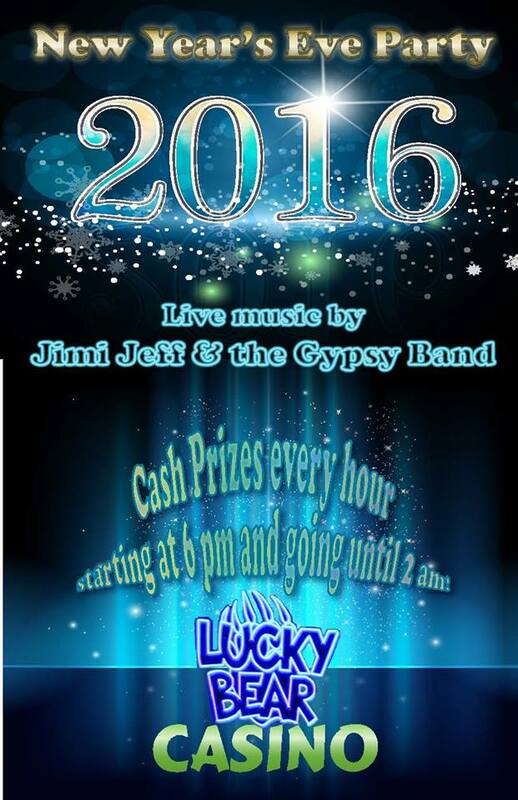 “Make your New Year’s Eve plans be to celebrate with us! 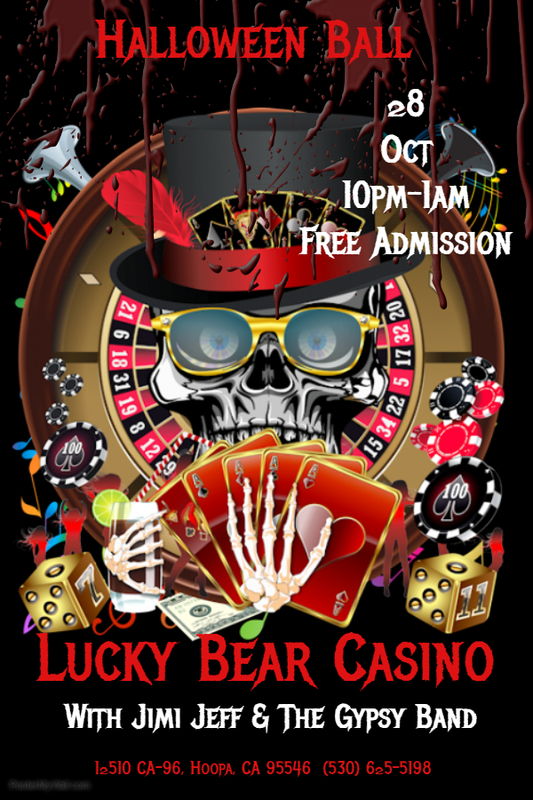 Live Music, cash prizes every hour, party favors and more!